The last two days have been very strange for me. Yesterday I learned that Double Fine will be making a remastered version of Full Throttle, my absolute favorite adventure game of all time and today I got the news that System Shock 3 is a real thing. 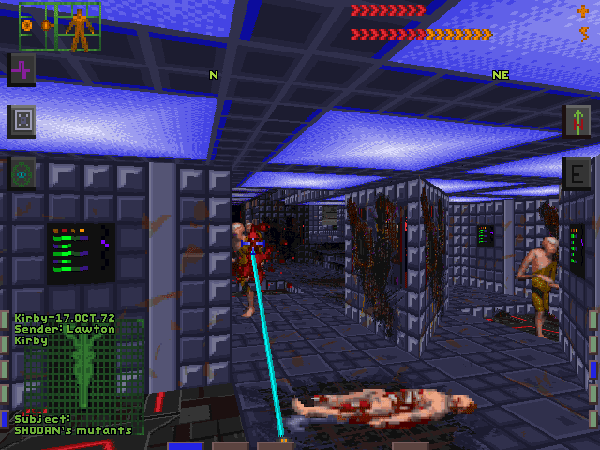 I haven't played System Shock or System Shock 2 in a very long time, but I remember it as one of the first games to really unnerve and surprise me. These were two very influential games in my early days, so to have them return all of a sudden leaves me a bit flabbergasted. Full Throttle wasn't the first LucasArts adventure game I played; that honor belongs to Day of the Tentacle (also getting a remastered edition, by the way). It was the first one that really stuck with me. 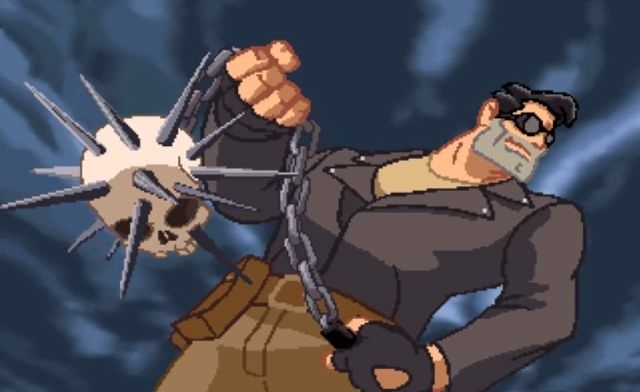 While most other LucasArts games focused on zany humor and cartoonish adventures, Full Throttle was darker by far and featured a more adult atmosphere. Ben, the protagonist, holding one of several weapons used to fight off rival bikers. Playing as Ben, the leader of a biker gang called the Polecats, the player has to unravel a nasty corporate plot and exonerate himself and his gang from a crime they didn't commit. It was well paced, contained plenty of surprises and had incredible voice acting (including the marvelous Mark Hamill and Roy Conrad) and mixed high action into several puzzles in really interesting ways. Full Throttle was Tim Schafer's first game as creative lead for LucasArts. Schafer. He and Double Fine Studios have already done a remastered version of Grim Fandango, another of Schafer's LucasArts games. 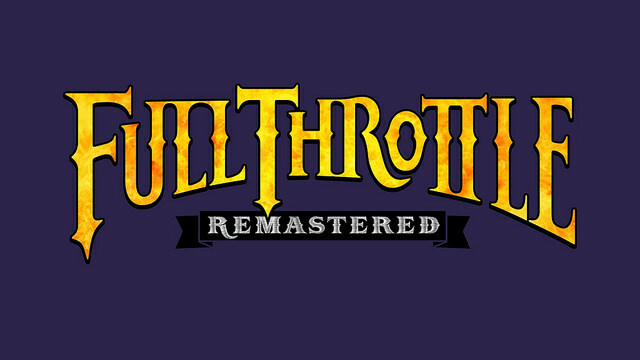 We don't have a release date for Full Throttle yet, but the announcement today did say that it will feature new, fully repainted art as well as remastered music and sound. I was so excited, I put The Gone Jackal's Legacy on a loop for close to an hour. Originally developed by Looking Glass Studios and produced by Warren Spector, System Shock reaches back quite a ways. Today, it is most often represented as the "father of Bioshock" but back in 1994 it was a groundbreaking RPG with FPS leanings. The story, involving an unnamed hacker (the player) working to shut down a rogue A.I. 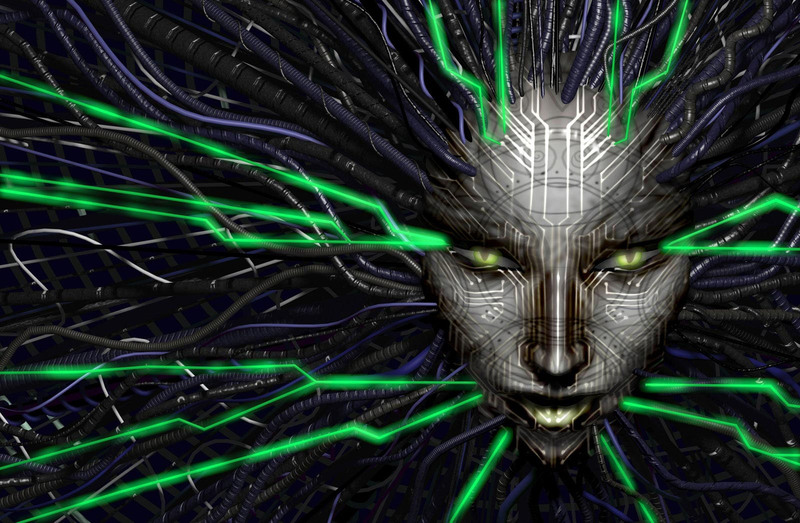 named SHODAN, was one of the first truly immersive experiences I had in a videogame. Had my parents known at the time how brutal and unsettling the game was, I don't think they would have let me purchase it. Luckily for me, the ESRB was still fairly new and my folks hadn't bothered to look in on my play time. I knew enough at the time to be really freaked out by SHODAN's taunts, but it wasn't until I replayed the game in 1999 (on the heels of System Shock 2's release) that I fully understood the game for what it was. The writing was something far beyond what I had been accustomed to in most videogames at time. As the last living person onboard the station, the player met no NPCs, but instead revealed the story of the game through journals and emails scattered throughout the game. It is a series that has significantly influenced the way we play games today. At the moment, few details exist about System Shock 3. All we have is a countdown page from Otherside, a development team that includes a number of ex Looking Glass devs. Though the countdown is set for December 13th, earlier today the announcement page showed the full title. This is one hell of a way to start the week. It is difficult for me to convey the excitement I feel for these games. It's a bit like I'm being given an opportunity to relive a part of my childhood. I only hope that the years haven't rose-colored my perception of these games. While I'm confident that Full Throttle will be largely as I remember it, System Shock 3 leaves me a touch more apprehensive. With a remake or remastered game, I at least know the bones of the original are still good. An entirely new sequel is more of a wild card. I only hope that it is treated with the respect it deserves.